This is the basic measurement system. 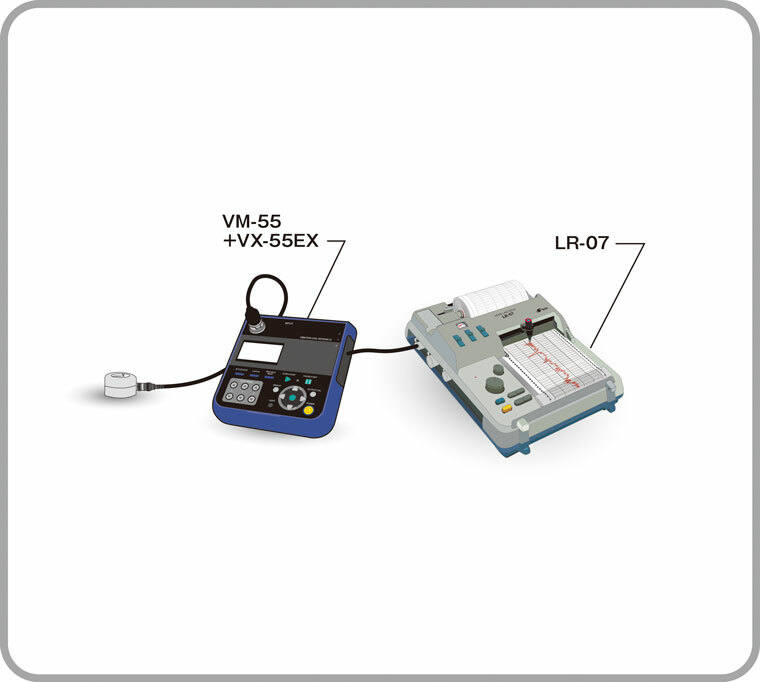 The vibration meter VM-55 is used for measurement and the level recorder LR-07 for recording. 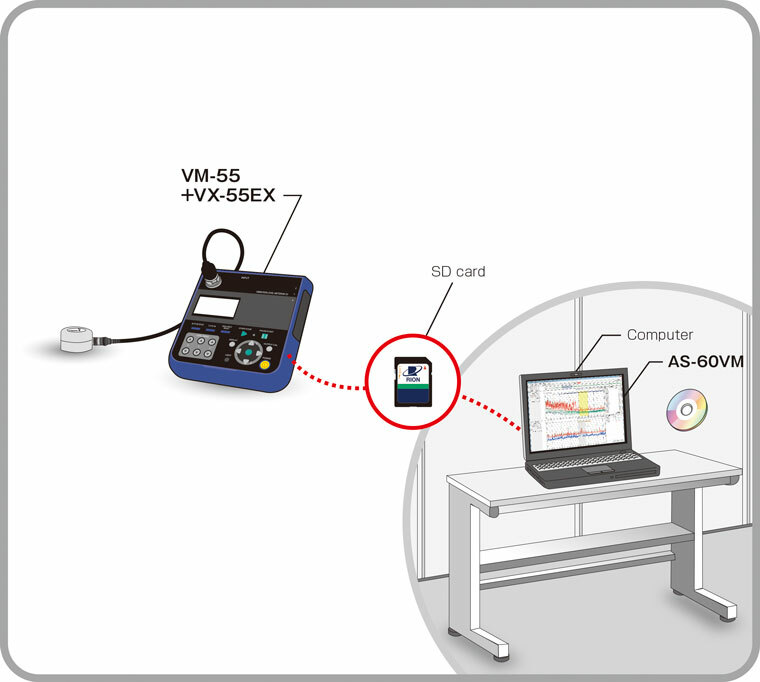 For basic measurement, the vibration meter VM-55 data are recorded on a SD card. A computer can then be used to process the recorded data. For creating reports, performing exclusion processing, and other tasks, the data management software for environmental measurement AS-60 is suitable. This software allows processing and managing data recorded on a SD card with the VM-55.